InfoSAWIT, SUMSEL –Provincial Government of South Sumatera normally develops the smallholders’ capacity and the better and environmental palm oil cultivation for the plantations keep developing fast. 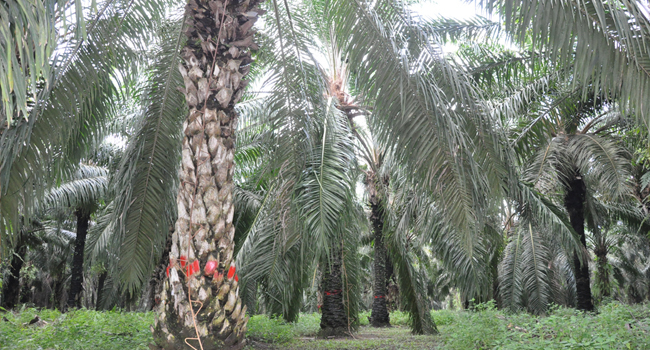 For example in 2013, palm oil plantations in the province reached about 711.951 hectares (ha). The palm oil plantations cultivated by the big companies laid about 454.592 ha, while the smallholders’ palm oil plantations laid about 257.359 ha. It means, the people’s plantations in the province laid about 43,3% of the total palm oil plantations. This increased from the previous year (2012). For palm oil could increase the better economy, it is normal that the smallholders cultivate it faster. According to Central Bureau of Statistic, South Sumatera Province, every district in the province has palm oil plantation. The widest areas are in District of Musi Banyuasin, then in District of Musirawas,and Ogan Komering Ilir. The wide palm oil plantations in the province urged the government to improve the management of natural resources and it starts from palm oil commodity. Palm oil is thought as ready to implement sustainable cultivation the most. Besides, the government of Indonesia has implemented the sustainable cultivation in Indonesian Sustainable Palm Oil (ISPO).